Memorial services for Clara N. Satre will be at 1:00 PM on Friday, February 15, 2019 at Bonnerup Funeral Service, Albert Lea. Pastor Erica Cunningham will officiate. Visitation will take place one hour prior to the service. Burial will be at a later date. 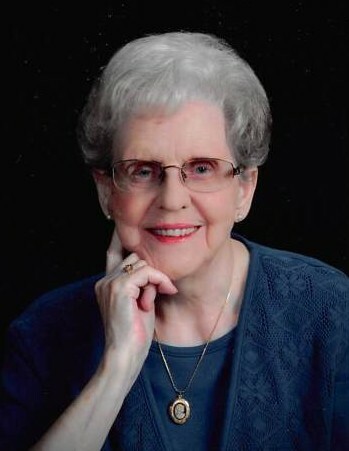 Clara passed away on Friday, February 8, 2019 at Pathstone Living Community in Mankato. She was 89 years old. Clara Nadine (Nesje) was born on November 5, 1929 in rural Kiester, MN to Nels and Christina (Simonson) Nesje. She was the youngest of eight children. She graduated from Kiester High School in 1948. On December 3, 1949, Clara was united in marriage to Roy Knudtson. To this union, the couple was blessed with four children. Roy passed away in 1969. Clara married Iray Satre on June 14, 1974. Iray passed away in 2003. Clara worked at Naeve Hospital in the Materials Management department. She retired from the hospital in 2002. She was a member of Salem Lutheran Church in Albert Lea. There, she was involved in the Margaret Haupt Circle and would often visit shut-ins on behalf of the church. Clara also enjoyed being a part of the VFW and Legion Auxiliary. When she wasn’t volunteering or working, Clara liked reading, playing cards with her family, gardening, bowling, morning coffee time, and making lefse – a family favorite! Clara was loving, caring, and kind. She enjoyed helping others, always gave hugs, and loved her family unconditionally. Clara is survived by her three children, Nadine (Paul) Haukoos of St. Peter, MN, Evonne (Fred) Baluski of Ruso, ND, and Rory Knudtson of Swea City, IA; step children, Linda Engebretson of Bricelyn, MN, David (Colleen) Satre of Bricelyn, MN and Mona Satre of Albert Lea; 13 grandchildren; 19 great-grandchildren, many step grand and great-grandchildren; sisters in-law, Margaret Nesje and Delores “Honey” Nesje; as well as many nieces and nephews and their families. She is preceded in death by both parents; husbands, Roy Knudtson and Iray Satre; daughter, Nancy Bixby; son-in-law, David Bixby; granddaughter, Anna Bixby; step-son, Kenny Satre; brothers, Nordahl, Benny, James, Nels, Elvin, Selmer, and sister, Martha Johnson. In lieu of flowers memorials may be given to Mayo Clinic Health System Hospice - Mankato.